Visiting the sanctuary of Arrate is one of the musts when visiting Eibar. 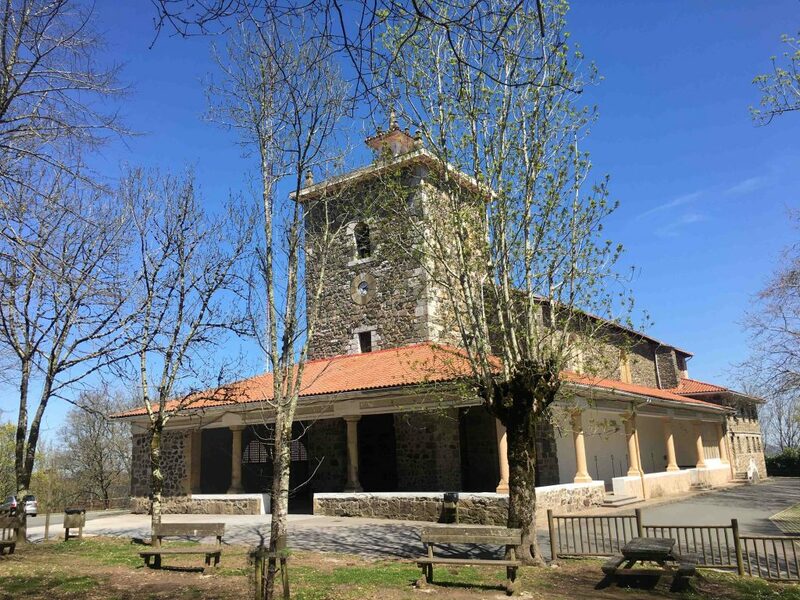 Set in the hills above Eibar, the whole area is favoured by walkers, climbers and cyclists and it´s also a natural area where “Eibarians” come at weekends. Arrate is a good starting point for many hiking routes in the surrounding mountains of the city indeed. There are many legends and curious details around the Virgin and church of Arrate in Eibar: regarding its construction, the mysterious ship you can see in the ceiling of the temple, etc. Our guide will explain detailed information of the área including the Arrate Festival, held every 8th of September annually. Nearby the church we will have the opportunity of diving into the history of Eibar during the Civil War. By means of a guided tour to the Civil War Interpretation Centre, we will get all the details regarding the cruel attacks, including several aerial bomb attacks, the area of Eibar suffered during that dark period. It’s an emotive way of claiming who we are, where we are from, and how the character of Eibar people have evolved.